A few weeks ago now I thought that I would use the service offered by Boots to find out which lipstick colour their colour match system suggested for me. I usually buy something with the word "Berry" in it, but I have veered across colours from paler nudes to hot pink, occasionally with a bit of red thrown in. They start off by using their little machine to find out which colour foundation suits. When the machine came up with "warm ivory" I started to feel a little more confident about the whole process. Quite often I buy an ivory colour (it's normally the second palest!) and I know that I have a warm skin tone, so that all added up. Having identified the foundation colour, the machine then suggests different colours of lipstick, from paler pink to brighter pink and red. In all honesty a lot of colours were suggested but I knew that I was after quite a bright pink and out of the 4 that were suggested, I liked the idea of rose berry moisture drench lipstick (£9.95). Having bought one, I have now gone on to buy 4 more as I'm terrified that they'll stop making it. However using various vouchers that were available, I only paid for two. I've been asked quite a few times on instagram which lipstick colour I'm wearing, so here it is. I wouldn't hesitate in going back to get some more colours and I would definitely recommend the service - but I would be interested to hear what others think too! And for a really long time now I've been meaning to thank Annabel at Bella Jane Jewellery for the gorgeous bracelets that she sent to me this time last year to wear. I absolutely adore them and wear them day in day out. I've linked to the selection of bracelets here - which is huge! Annabel also does sells necklaces and rings as well as making bespoke pieces, just so everyone knows. They make a fabulous present! I think that one of the lovely things about being properly "grown up" is having a few nice beach dresses to go over your swimwear. For me it was one of those things that arrived in my wardrobe later on in life (like about three years ago) along with decent swimwear, properly fitting bras and nice pjs, rather than an old t-shirt. These are the sort of thing that as a student you wouldn't think twice about but which now take on a much greater significance. This black and white embroidered maxi dress was kindly sent to me by Coco Bay to wear whilst on holiday. I wasn't sure whether the weather would warrant a beach cover up - other than a tent and a wind break - but we've been lucky and with the sun shining, I've had the chance to wear it. This dress actually feels very glamourous for a day time dress, quite possibly because of its bandeau top, full length and because it is black - but it doesn't feel too OTT. It could also quite easily be worn in the evening as well as the day with the addition of accessories. What I really like though is the fit of the dress. The gathered waist gives a little definition without being tight and it has a lovely column shape about it which is flattering without being restrictive, either in terms of movement or what you can eat when wearing it - which is always a bonus on holiday. I love the embroidery on the back too, which is so pretty and the cotton that it's made of is light and soft. For anyone contemplating a last minute holiday or a winter cruise, I can definitely recommend this dress. I really love it and would have no hesitation in making it work really hard as part of a warm holiday wardrobe. Oh my golly it's been hot here today (as I think it has been in lots of places!) It was properly, swimming in the sea hot, like it hasn't been for ages. During the day it was bikinis all the way but in the evening Mr SG and I went for a walk along the south coast cliffs. It was still warm so shorts and this new flamingo tee from H&M* seemed to fit the bill. I took the camo shacket for when the sun went down and wore trainers because the cliff paths are, unsurprisingly, high and a little uneven. The Saywhatyouc bag held essentials, just in case we came across an ice-cream kiosk that was open. We didn't. *I can't find the flamingo t-shirt on the UK site, even though I only bought it on Friday. It was a one off so I suspect that it is pretty old stock. It's probably not very helpful but I've linked to the US site for its composition, further details etc. Last summer, the team at Coco Bay asked me whether I would like to wear, and write about, one of their bikinis. Having provided them with an idea of my individual requirements/issues, they suggested a bikini which seemed to fit the bill perfectly - and it did. For anyone who is interested, that post can be read here. So when this year they asked me again whether I would like to review another bikini, I didn't hesitate in saying yes. Of course not only is it lovely to receive new swimwear but the hassle free option of sending through your sizes, the team knowing their stock and styles, advising on the best bikini and then sending it out in super quick time to try on at home, is hugely appealing. After checking their records from last year, Rosie at Coco Bay suggested that I might like to try the denim block bikini from Seafolly. It's new in and it is simple and un-fussy, with a sports luxe style. The bikini top has a little zip up the front which really appealed. Zips are starting to appear on sports bras too, so they are obviously becoming a bit of a "thing". I've linked to the whole range of denim block bikinis as there are a few options to choose from in terms of style but I'm wearing the bandeau bustier and the hipster bikini pant. As to sizing, I wore a size 10 in both the bottoms and the top. The top is slightly padded and also underwired too, so it's great for anyone who needs a little more support in the bust area (I'll let you all read between the lines on that one!) It also has an optional strap. I wore the top today as a strapless bra under a dress and it didn't move an inch all day. In fact it's a much better fit than my "proper" strapless bra. I remember when I used to read in magazines about spending more on swimwear and thinking how daft it was and that it couldn't possibly make a difference - but with these bikinis it does. True there isn't a lot of fabric in a bikini or a swimming costume but what there is, is firm, supportive and equally importantly, it stays in place. It's like there's some proper engineering that has gone into the bikini, especially the top with its padding and boning and the bandeau bustier top really does make a difference where other tops frankly, just fail (especially deep V shaped ones, which most seem to be). For anyone who spends a lot of time in swimming pools, the fabric also lasts better. The cost of some clothing is extortionate. I never spend much on jeans but over the years I've come to the conclusion that I would definitely spend on swimwear. In fact to be honest it's just lovely to find a style that makes the best of what is left after three children! In conjunction with Coco Bay I'm offering a 20% discount code. Just enter the code BETH20 at the checkout until the end of September and if you're even vaguely tempted I would say just try them. 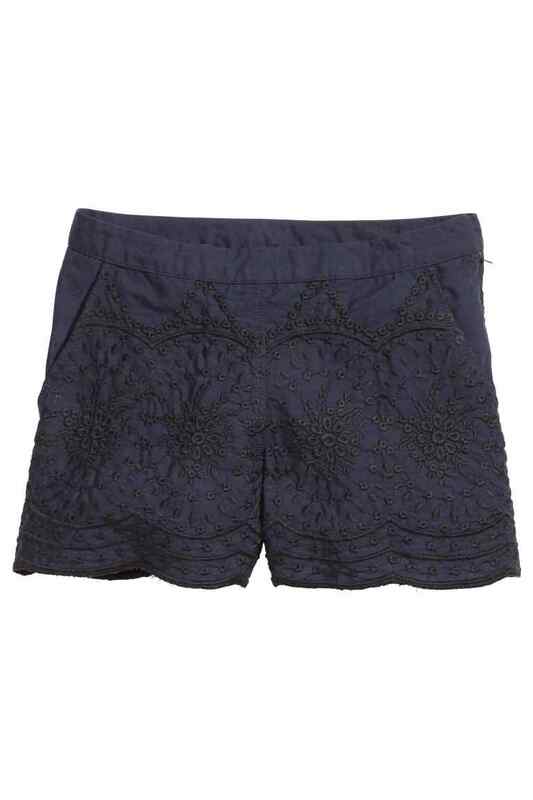 The returns are so easy and the team so helpful that it makes swimwear buying a really pleasant experience. So today was the first full day of our Guernsey holiday and it was a little bit warm, a little bit rainy, a little bit sunny (from time to time) and VERY windy. After heading down to the beach for a spot of early morning exercise with the younger children, I changed into some old Topshop jeans that I chopped down into cut-offs and this sweatshirt that I picked up in H&M (£12.99) on Friday. I love a bit of embroidery - and a bit of navy - so for me it was a match made in heaven. If you were an 8 year old taking photos of your Mum, of course you too would keep quiet about a wave sneaking up on her wouldn't you? I know I would. When packing for our holiday to Guernsey this year I thought that I would see if I could get everything that I needed into a suitcase that would qualify as hand luggage. Admittedly I did check this suitcase in, and I took a separate bag for my lap-top, books, purse etc - so I wasn't travelling on hand luggage only. But it wasn't far off. In terms of my shoes, which aren't shown, I also packed two pairs of flip flops, one pair of sandals and I travelled in silver adidas trainers. The suitcase also held all my toiletries, jewellery, underwear, makeup, hairbrush and phone charger. In a very loose way I worked on the basis of two of most things - jumpers, trousers, shorts, dresses, blouses, t-shirts, swimwear etc and then squeezed in a few more of what I could where I could. So what didn't go in the small suitcase? Given that there were two additional huge suitcases going with us, the temptation to take lots of other things was great but all that went in there was the hand held blender (no longer for baby food, fortunately, but for smoothies), running trainers and a beach towel. I wouldn't have been allowed to take this on as hand luggage as it was 11.5kg but I feel quite liberated and I'm interested to see how I get on for the week. It doesn't look like I have too little but let's see how I feel come Thursday. Anyone else tempted to give travelling on a hand luggage sized suitcase a go? Actually I must dash. Mr SG has just announced that he's going to bed so I had better go and move this lot before he switches the light off or the only thing left for me to sleep in will be my hand luggage sized suitcase. As some of you will know, I've been doing a review of a few pieces from Baukjen's Pre-Fall collection and being such a chilly creature, I decided to include a piece of knitwear - albeit of the cold shoulder variety. So I chose the Berwick off the shoulder knit from Baukjen (£109) in this gorgeous shade of blue. When I put it on, I loved the wide neckline and the way that it moved. I'm sure that there's a "proper" way to wear it but I just liked pulling it this way and that to see how it sat. Now is it only me or does anyone else have visions of Christmas Day as soon as they start thinking about knitwear? I see myself wearing this jumper sat in front of the log burning stove with snow gently falling outside whilst watching "the Holiday" on TV. Of course the reality is always different - more like the smoke alarms going off with the windows wide open whilst watching re-runs of Only Fools and Horses - with everyone arguing just for good measure. So whilst I would happily wear this jumper at this time of year, it will also head way on into the winter months for parties and family gatherings, when it's time to dig out the leather leggings. And for when the sun really does stop shining and it's time to head outside, I will be wearing the Whitburn long line knit from Baukjen. I'm a big fan of a raglan sleeve and the baseball styling is right on the button for the upcoming season. For anyone wishing to take a closer look, Baukjen's jumpers can be viewed here. And don't forget, with the code STYLEG15 there's 15% off new season clothes until midnight on 8th September. I thought that it would be nice to share some pictures of a piece of furniture that we have recently up-cycled, taking it from a kitchen unit to a smarter piece for the living room. This is how it started out its life, about 13 years ago now. It first lived in the kitchen of our last house (it was based on a John Lewis of Hungerford design and copied for us by a local carpenter). It was then used in the playroom in our current house to store the children's games and my work files. For a while the doors lived in the shed whilst I went for the "open plan" look. But then they came back again - slightly worse for wear! After the recent works on the house, the furniture was returned from storage and the unit was put in the living room whilst it awaited its Cinderella moment. As part of the re-modelling the downstairs of the house, I took a look to see what could be done with this piece. It wasn't cheap to have made and I'm not a fan of chucking things out unnecessarily but it really did need a new lease of life. The four wooden panels in the top doors were taken out and replaced by glass,which I had cut to size. Then the hinges and handles were replaced and the inside of top unit was papered in this Shanghai Garden wallpaper in Fuchsia - a Designer's Guild paper from John Lewis which had a lovely metallic background. It all sounds so easy doesn't it? But it took 5 days for the work to be completed. It was no mean feat for the carpenter to overhaul this big piece of furniture but I really love it now. It has two shelves to go in it and then it will be used to display photographs and glassware. For something similar, try this bookcase from Ikea (£275). It looks great as it is, or it would be easy enough to paper the inside back of the cabinet before assembling it and change the handles, to give it a twist of your own. *I bought the water based eggshell from Farrow & Ball which was specifically designed for woodwork. However our carpenter used it as an undercoat only on the basis that being water based, it could just be wiped off. For the top coat, he sent me packing to a Dulux trade paint centre where they mixed an oil based eggshell which is much harder wearing. Apparently only a few places will mix an oil based paint now as it clogs up their paint mixing machines - but the trade centres will do it. So I hope that's helpful and not just a load of useless waffle! Initially I thought that the shirt on its own was a bit full on frilly for me but the more that I wore it with the dungarees, the more I got used to it. Being 100% cotton and only £9.99, it's a great shirt for anyone thinking of dipping their toe in the "white frilly shirt" water. I picked up the gold version of the navy Zara shoes that I bought in the sale a few weeks ago. They're currently £15.99 - arguably a little bit bling but not so much that I feel like a rapper. A bit Dexys Midnight Runners/the Wurzels/frilly lizard/rapper/suburban Mum of 3. Hmmmm. There's a new one. Not quite sure that I'm selling it! 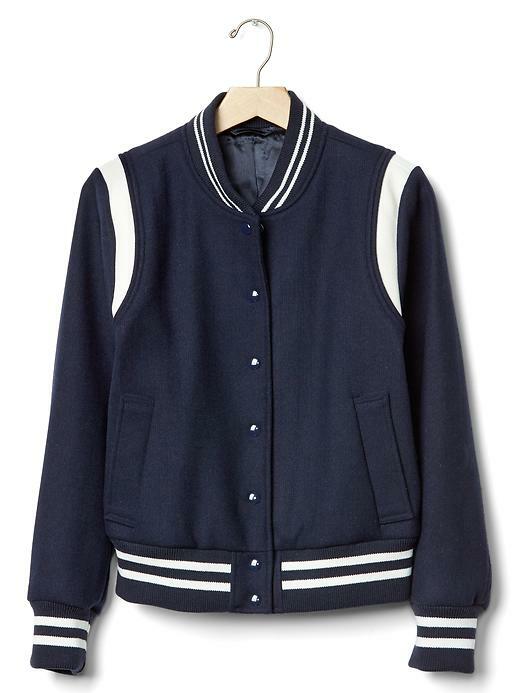 Call off the search - the GAP sports luxe bomber jacket is here! 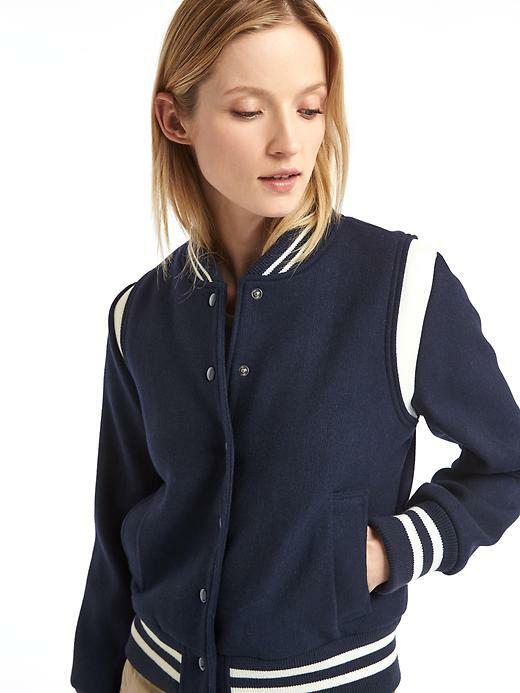 Just so that you know, there really is no need to look any further for the perfect sports luxe bomber jacket for the winter, than this one from GAP. With a pleated skirt, cropped kick flares or culottes, it will make the transition from summer into autumn much, much, easier - well it will in my mind at least! I can't pretend to have been overly taken with its £174.95 price tag but a 30% offer which pinged through the day after I found it meant that we were at least starting to talk the same language. So it's currently winging its way to me and I have high hopes - which is always dangerous! But for another bomber, there's this blue sateen colour block bomber jacket in New Look (£24.99). Whenever I go in to the store it catches my eye. I can see it being a great way to update a work wardrobe. 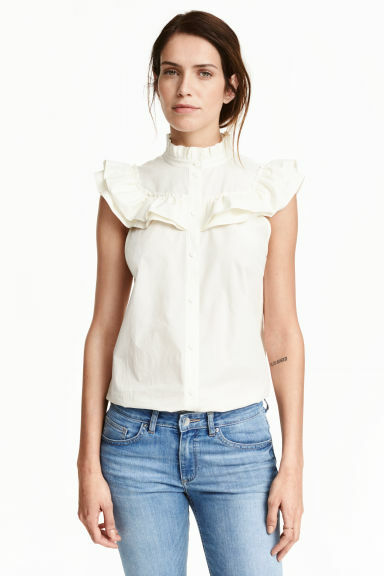 Outside of work it would look fantastic as styled below, or for the evening over a slip dress. In fact New Look is by far my favourite choice for bombers this season, so I've included a link to their bomber jackets because, other than watching the Olympics and Suits, what better past time is there for a Sunday night?! It's 100% cotton, and I love the colour, plus the style too - but the jumpsuit dress and I? The algorithims on Match.com definitely wouldn't put us together. We would get on famously well on a hot day in an exotic location. But that's not enough. What about the everyday? We're just not compatible and we definitely wouldn't last the distance. It's too showy, I'm too sensible. What was that I said about sensible? Who in their right mind would flash their pants to the world? So now we all know what a jumpsuit dress is at least. It was this slightly quirky "what on earth is that and how do I put it on?" type question that attracted me to it in the first place. But I don't think that quirky is enough to keep us together. So goodbye jumpsuit dress, it was good knowing you. Given that we've got a few days of sunny weather forecast, I thought that I would share this embroidered flute tee from Topshop with you all. 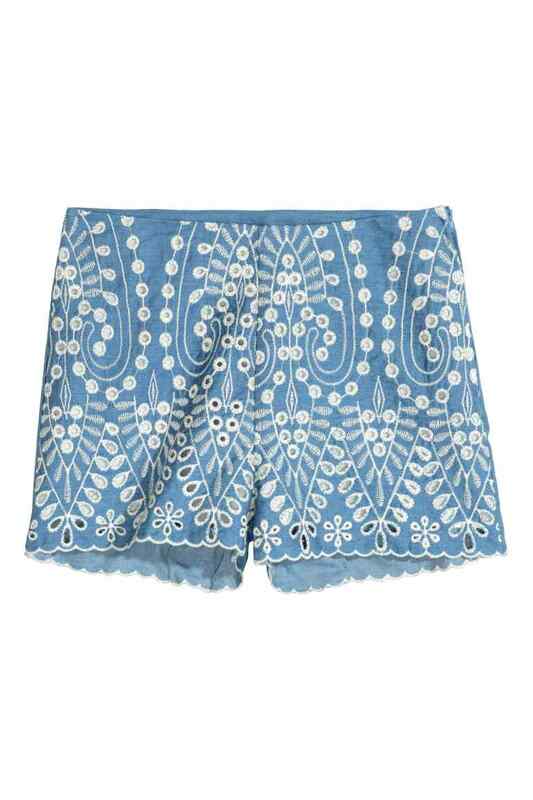 It's pretty, it goes with lots of things and you can never have too many summery tops. As part of the review of Baukjen's Pre-Fall collection, I've included a dress to style. I mean, who doesn't love a good dress? Even more, who doesn't love a good striped dress? Especially one that can be worn at different lengths and styled from modern, to smart, to casual? So, let me introduce the Franklin off the shoulder dress (£99). Having worn this dress, I can see that there is a lot of clever styling that has gone into it, from its ruching on the tummy area, to its subtle slide split, sleeves of a good length and a fantastically versatile neckline. The day that these photographs were taken was crazily windy - but we persevered, occasionally crossing the road for a quick dose of sunshine to warm up. Having worn shoe boots and minimal jewellery above, I swapped my shoes for some spotty heels and a navy and yellow tassel/pom pom necklace - for a slightly different feel. A splash of colour in the shoe department would also work well with this dress and for those who wish to flash their legs, it can be pulled up much shorter than I'm wearing it which would make it great for a beach holiday look. Being a soft jersey fabric, this dress really wouldn't feel out of place at a wedding, in the office, or on the beach. For an everyday look, of course it had to be the silver Adidas Superstars which I wear with so many outfits and which mean that I can stride out in the way that I like to. I've pulled the dress up here so it's slightly shorter - more knee length than midi but again, it's one of those great pieces that does what it wants to and which looks good however it sits. The other good thing is that, unlike some dresses which I own and which feel a bit dressy for everyday, I could (and would) wear this casually and still feel "me". So this time she didn't sting me for the most expensive Magnum in the shop, instead opting for the white chocolate one instead - and she was happy for me to pretend to take a bite - as long as I did only pretend. For anyone who would like to receive 15% off new season clothes, just quote STYLEG15 at the checkout. The offer is valid until midnight on 8th September. Happy shopping!